Nearly thirty-five million individuals in the United States are addicted to a substance. A large percentage of them also have ADHD. 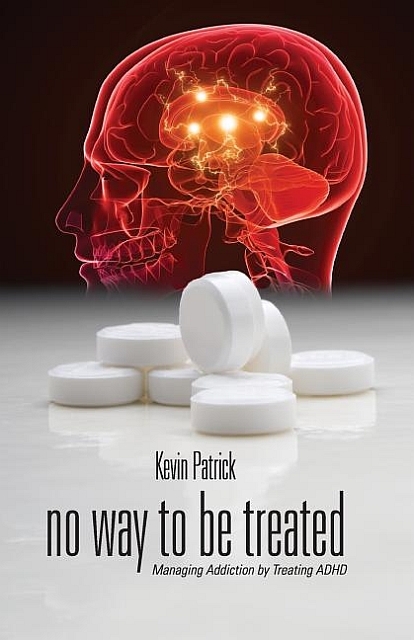 In No Way To Be Treated: Managing Addiction By Treating ADHD, Kevin Patrick explains that properly treating ADHD can manage the addiction. He makes his argument by outlining the physiological similarities of both addiction and ADHD and proposes changing current drug treatment methods in a way that greatly improves the percentage of addicts who maintain their sobriety. Patrick believes that recovery programs must begin to screen for and treat co-morbid ADHD in order to effectively help addicts manage their addiction. While Patrick is a proponent of the Twelve-Step Recovery method, he believes that it can be improved. Patrick offers new ways for doctors, drug treatment counselors, and other treatment professionals to incorporate behavioral medicine in substance abuse recovery programs. Current methods of treatment are not effective enough in helping addicts achieve and maintain their sobriety. These current methods prove that this is No Way To Be Treated. Kevin Patrick, a recovering addict with ADHD, lives in Atlanta, Georgia. He has been married to his wife, Molly, for thirty-five years. They have two grown children and one grandson.